Circulation of fresh air in shop floor area is essential to energize work efficiency, create dust free atmosphere and equalize ambient temperature which is quite necessary for all types of industries. Backed by profound experience of our experts, we are an unparalleled name engaged in providing high quality assortment of FRP Base Plate. - Material: Stainless steel, color steel, Alu. 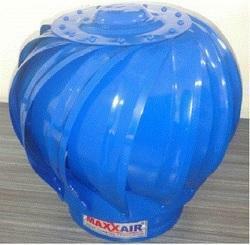 Our company is regarded as a specialist in offering a huge array of TurbineAirVentilator. 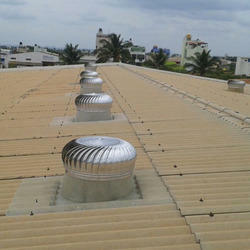 These ventilators are renowned for their sturdy spider type frame construction to withstand adverse weather conditions. Fan Weight: 4.0 Kilos appx.